Offering Web Design throughout Ventura County, Thinking2 designs and develops professional websites and solutions that are both graphically appealing and structurally effective in SEO. Optimizing your ROI through strategic foundational design and web based tools suited for your project. With our Web Development capabilities, Thinking2 can offer many innovative solutions for a competitive price to all of our Ventura County customers. Having a very fast, reliable, and secure, network is at the heart of a successful website. Thinking2 has partnered with several vendors to provide top-notch professional Web Hosting and Hosted Email services. Even with all of the above in place, it does not guarantee that you are maximizing your web presence fully. To help maximize your web presence we also recommend that you look into some of our Online Marketing tools such as Email Marketing and Search Engine Optimization. Every business is unique and Thinking2 does not subscribe to the belief of one-design fits all. Though we can implement templates, Thinking2 excels with our custom Ventura Website Designs. We love building unique web designs that showcase our client’s business and services as well as create an enjoyable experience for their website visitors. 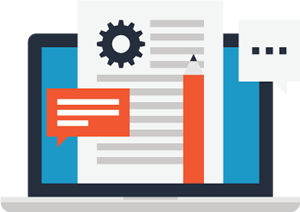 Custom designs are created from an exploratory interview process, which allows us to design to your specific website requirements and not try to fit your business into an existing website template. 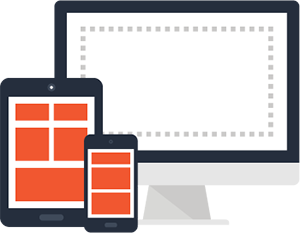 Because google mobile friendly websites are a key factor in today’s successful results, Ventura Responsive Web Design is included with all of our Custom Web Projects. Creating a successful Ventura eCommerce website can be challenging in todays market. Thinking2 can create a custom shopping cart application that is molded specifically to your requirements, but in most cases budget is a factor, so Thinking2 has partnered with the best e-commerce vendors such as BigCommerce and Shopify to provide our customers with safe, secure, and affordable options to sell their merchandise over the internet. 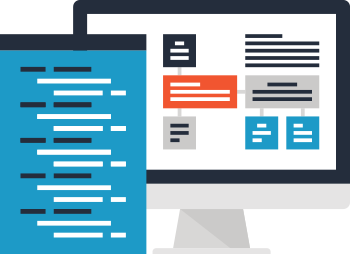 Are you in need of a Content Management Systems to manage your website’s information? Whether you need your website to be integrated into Wordpress or looking for a more custom CMS option Thinking2 has been providing Ventura County Customers with Ventura Web Development solutions for more than 15 years. Whether you are seeking custom Web Solutions for payment form integration using Authorize.net, Brafton news automation integration, or simple Ventura Database Design and Development, we have the experience and knowledge to find a solution that is right for you. Offering a variety of solutions for your hosting needs, we have a Ventura Hosting plan that is sure to fit your needs. Get fast load times with our shared web hosting, using SSD on a virtual network with optimized site performance, great for personal and small business sites. For larger clients that might require powerful backend tools and apps we provide dedicated hosting solutions built for your specific requirements that keep you up and running in a secure and private location. 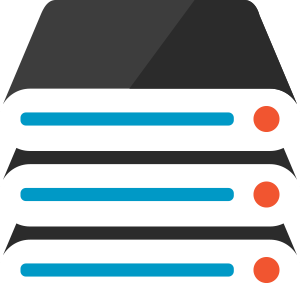 Our scalable VPS hosting offers a Virtual Private Server solution that meets the needs of those looking for scaled resources that offer more exclusive resources than shared web hosting, but not looking for their own dedicated server. Looking for a more professional email address other than your gmail account? Our Ventura Email Hosting options provide the perfect solution with guaranteed uptime. We can find an email hosting solution for you and your business that saves you frustration while saving you money. Our favorite solutions pairs our managed business class email with exchange, saving your business money. We like to follow the mantra that an ounce of prevention is worth a pound of cure. Building a clean Search Engine friendly site from the foundation up can save you thousands of dollars in unnecessary SEO temporary fixes and paid ads. Ventura Organic SEO uses content, clean code and white hat methods that build trust with your visitors and is more cost effective that dumping your entire advertising budget into paid listings. Engaging with clients builds traffic and boosts your site’s rankings. Ventura Email Marketing keeps your current clients connected and our Ventura E-Newsletter Integration via third party services helps you engage and attract new ones. It is not enough that your site is online, how is it going to be found amongst a sea of other sites? In today’s world no one just builds a website, develops an application or buys online marketing once. These ongoing investments increase your business’s bottom line and need to be nurtured to give you the best ROI. Graphics speak volumes to your clients and our Ventura Graphic Design services can launch your business into the now with custom designs. Developing brands and logos from the ground up to create a cohesive Corporate Identity plan is one of our passions. We can incorporate your new look into various Ventura Marketing Materials to help you reach out to the public. While we are at it, let us take your site from the ordinary to extraordinary with vivid imagery that adds interest and credibility to your 24/7 advertising machine. 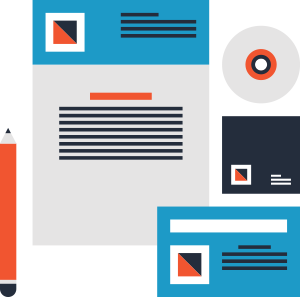 Our web designs are always striving to enhance and highlight you and your business the best way by creating using design foundations of branding, typography and color theory. Ready to talk about how we can help you create a successful web presence? Full Name* Full Name is required. Phone* Phone is required and must be in USA format. How Did You Find Us? * Select Google Yelp Word of Mouth Advertisement Other Project Type is Required. Project Type* Select Web / Responisve Design Website Development SEO RMM (Remote Services) Hosting/Networking Graphic Design Print Support Project Type is Required. Project Budget* Select $0-$2,000 $2,000-$4,000 $4,000-$10,000 $10,000-$20,000 $20,000-$50,000 $50,000+ Project Budget is Required.